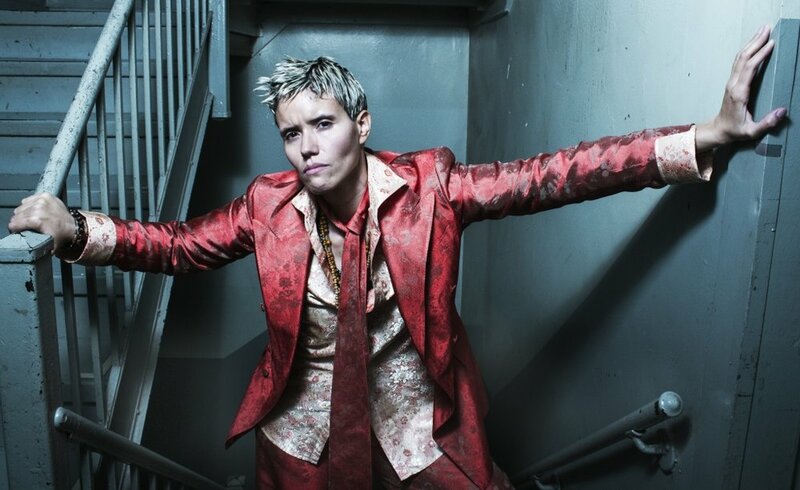 Farrah Krenek has gained notoriety for her role on the highly acclaimed Netflix series Orange is the New Black, but she’d rather place emphasis on her work once the cameras are turned off. Krenek was recently named an ambassador for the State of the Girl series. Through the program, she will team with UChic, a mission-driven lifestyle brand for young women that helps them live their dreams by supporting $1,000 scholarships through its 1,000 Dreams Fund. “When I heard of this project that was helping so many young women have the opportunity to have continuing education, I wanted to be a part of it. I figured, these girls will receive funding, and I’ll add my personal touch by giving them confidence and strength. I want them to feel their self-worth and know their confidence is very much needed,” Krenek said. Through the partnership, which will continue for the foreseeable future, Krenek says UChic plans to expand its initial offering of 16 scholarships to $1,000 through its 1,000 Dreams Fund. “UChic wants to expand the 1,000 Dreams Fund as quickly as possible so they can reach their goal of funding and fueling the dreams of 1,000 young women. Once that goal is reached, they will set their next audacious goal. In order to reach it fast, they can’t do it alone. They need more partners to work with them to drive more dollars to the fund. Thus, over the next year, UChic will personally be working to partner with like-minded organizations and individuals who support their mission of providing greater access to life-changing opportunities for all young women, no matter what her socio-economic status,” she said. Krenek is doing her part to help spread the word through appearances at events across the country, including the recent celebration of the University of Kansas launch of the 1,000 Dreams Fund where she served as keynote speaker. Krenek, who is also an anti-bullying proponent, believes strongly in the empowerment of girls and the value of education. “For the longest time, women have decided not to pursue continuing education because they thought that all they needed to do to be a success in life was find a husband or spouse. By doing so, they neglected the number one person they needed to take care of: themselves. With a solid education, they will not only receive knowledge, but also strength and self-worth,” she said. Others may contribute to the goal by purchasing UChic products, including a care package, books and tablet and laptop sleeves through the website www.uchic.com. A portion of each purchase helps to fund the scholarships. Photo Credit: Ignacio Guevara nachoguevara.com and suit design by Malan Breton.